The Green Copper Jock is a nymph pattern that will bring trout to your net. It is quick sinking and gets down deep where the wary and big ones linger. It is equally successful whether tumbled down a river bed or a deep water feeding channel in an English chalk stream or an Alaskan creek. 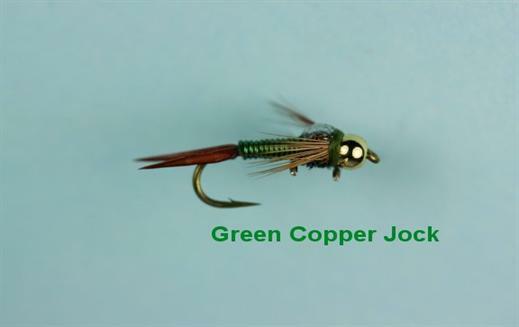 Currently there are no comments about the Green Copper Jock fly pattern from other fly fishermen yet.